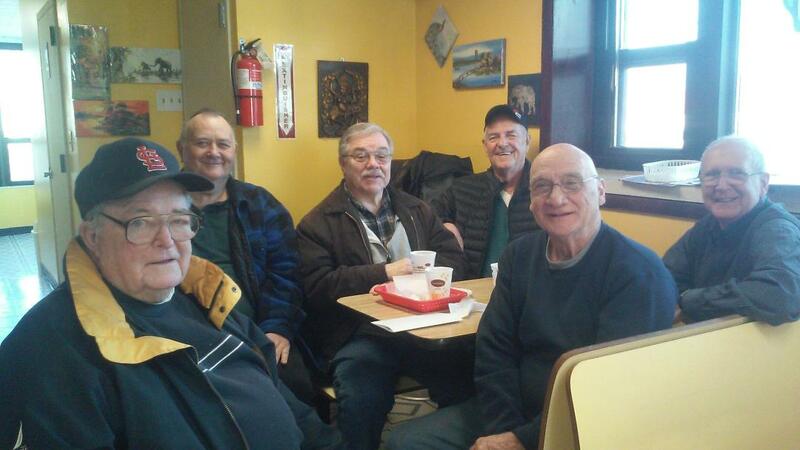 Enjoy the friendship, camaraderie and fun of the Mount Pleasant Pigeon Club. 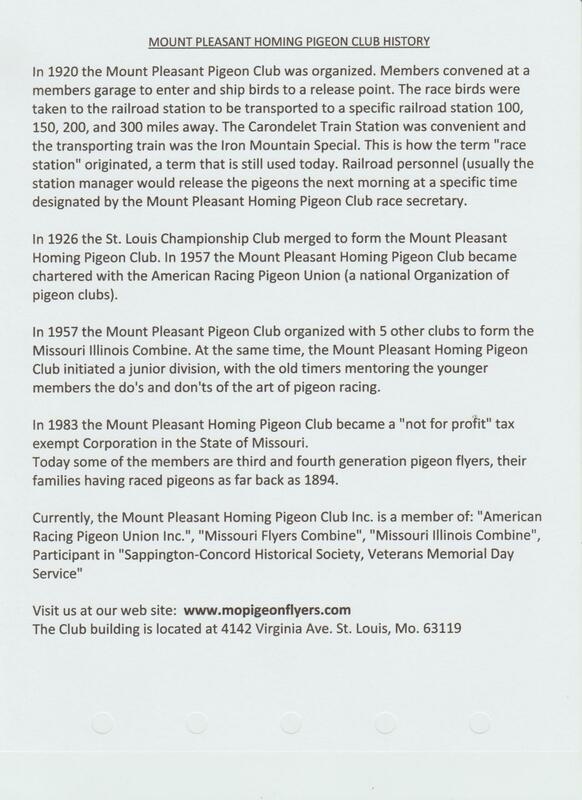 We race our pigeons in competition with each other as well as other clubs. 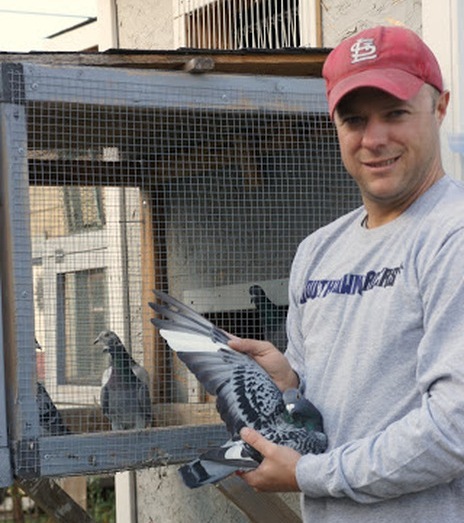 Our members help each other with training, breeding ideas, and everyday ideas of the care of our pigeons. 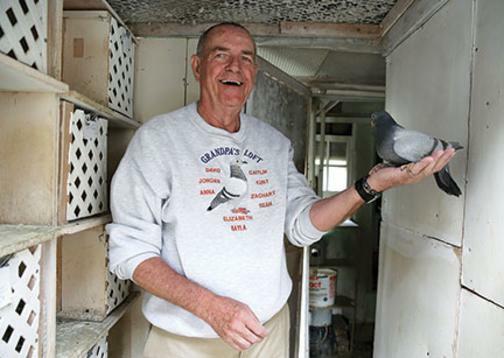 All of our members are available to help a beginner get involved with the backyard hobby of raising and racing homing pigeons. Call one of us and get involved. 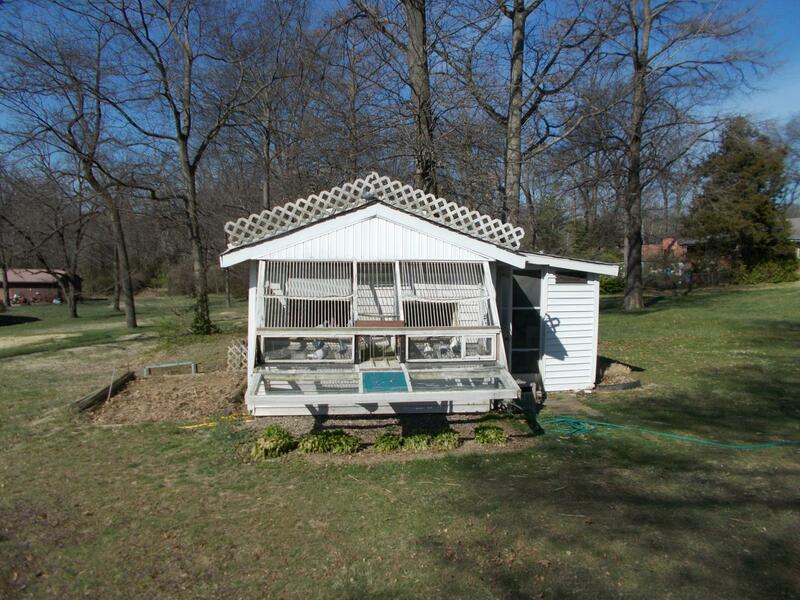 We have our own building that houses our memorabilia as well as the supplies and materials we need to compete in the races.